Lucky Admiral Casino is dedicated to giving you, our mates, an excellent choice of trusted deposit methods. To that end, we can confirm that Lucky Admiral is part of the PayPal casino UK marketplace. Most casino players will be familiar with PayPal as an e-wallet, but it always helps to learn more and get introduced to how it works. PayPal was the first eWallet to take the world by storm. After starting out as an eBay tool, the alternative online payment method was later rolled out for use by eCommerce sites, including online casinos. By design, PayPal is a digital wallet that has the power to connect with your preferred credit card, debit card, or bank account. From a functional standpoint, PayPal creates a barrier that shields your sensitive financial information by acting as an intermediary. Essentially, PayPal allows you to use your core payment method without having to expose it on the internet. For instance, you can use a credit card and you will not have to submit the numbers and information with the casino at which you are depositing. Join PayPal: Visit the PayPal site on a desktop or mobile device and click or tap to sign up. Continue by selecting a personal account rather than a business one. Submit details: At the next step, you select your country of residence, enter your first and last names, submit an email address, and provide a password. Add a payment method: Now that your account is active, you can submit credit card, debit card, or bank account details. Confirm payment method: PayPal then send a micro-transaction to your chosen payment method. The micro-transaction is accompanied by the code that must be submitted to your PayPal account to confirm the payment method. Download an app: You can manage your account even more efficiently on the move by downloading the PayPal app to Android or iOS mobile platforms. PayPal is one of the most popular payment methods at Lucky Admiral, and there is no shortage of reasons why. You can take a few moments to see just how PayPal can be used to your advantage. The PayPal eWallet gives you the power to link multiple payment methods that are later chosen at your convenience. One day you could use your credit card before then depositing directly from your bank account – it’s all up to you with PayPal. Another major advantage of PayPal is that you have a single payment method that is compatible with Lucky Admiral and all manner of other eCommerce sites. This allows you to simply complete your payments with your PayPal email address and password. Just imagine being saved from constantly having to re-enter your credit card details. With the aid of the PayPal app, you can keep close control of your casino deposits and finances. The app is designed to give you the ability to check the latest payments that you have sent and received. This is the perfect way to aid in your everyday budgeting and to help ensure that your deposits are always kept firmly under control. Get a Lucky Admiral account: Go to LuckyAdmiral.com and click on the option to create an account. You only need to complete a couple of short steps. Following those steps, you will be asked if you wish to deposit with your credit card. You can have the option to turn this down if you would prefer PayPal. Go to cashier: In your Lucky Admiral account, look for the cashier option and click on this. Upon arrival, you can select the “Deposit” tab to look for the online casino PayPal option. Pick a value: The deposit tab will present the option of clicking on PayPal as your option of choice. After making this selection, you can then pick one of the deposit values, which include £10, £20, £50, £100, and £200. Complete the deposit: By this point, you will be ready to complete the deposit. Before clicking deposit, however, make sure to tick or un-tick the option to remember your PayPal login details. Log in with PayPal: The final remaining step is for you to complete the transaction by logging into PayPal. This will open up a separate window in which you can securely enter the information away from Lucky Admiral. The funds will then be moved over to your casino account. New members to the Lucky Admiral crew are in a position to claim handsome rewards for joining up and completing specified tasks. The simplest is for you to make the first deposit into your account, which will land you a spin on the Mega Reel, where you can win up to 500 free spins on Starburst or Fluffy Favourites. You get to spin the wheel again each time you deposit £20 or more! Linked accounts: Your debit card, credit card, or bank account can be linked to your PayPal account. This enables you to complete Lucky Admiral payments without directly sharing your personal details. Secure logins: PayPal deposits are completed through entering your login details only. Therefore, you will not have to share any close details if you don’t want to. Streamlined payments: A credit card payment will require the numbers and details for every transaction, which can be inconvenient if you don’t want to save them. Meanwhile, you will only ever need your PayPal login to process these payments. Offline security: At no time will you be asked to make an online payment when using your phone bill or paysafecard. Phone bill deposits will be credited directly to your number, while paysafecards can be purchased through visiting land-based retailers. Both cases eliminate the need for credit card payments. Transferring money: The only possible drawback is that money cannot be sent back to your phone bill or current paysafecard. Having chosen those methods to avoid online interactions, this could be negated if you end up having to withdraw any winnings. In this case, PayPal would be the smart option. Lucky Admiral is one of the best PayPal casino sites in the UK, providing you with access to secure and efficient payments, both to and from your account. If you have wondered about the fact that PayPal has been offered for use at casinos so far only in Britain, you can thank the UK’s gambling laws. One primary reason that PayPal rolled out its gaming services in the UK is that the country has a codified set of laws and regulations, as well as excellent organisation for real cash gaming industry. When you are a member of a PayPal-equipped online casino, what is most important is the quality of the site’s gaming portfolio. Lucky Admiral is an example of casinos that are in the ranks of multiple-supplier game providers. That means that its players are granted access to mobile slots and table games from more than one source. Lucky Admiral has many titles but also many styles of games to try. We thought the best way to illustrate this point would be to give you mini portraits of several of our most popular games, accompanied by descriptions of the studios that created them. All of the entertaining slots we chose below have medium volatility (risk), with RTP (return to player %) of about 95% or higher. This game is remarkable for the way it expands a slot into an adventure game lead by its lead character, art thief Vincenzo. It has 5 reels, is 3 rows deep and has 21 paylines, with its focus on an engrossing story and gameplay. We’re already fans of this truly stylish game maker based in Malta. What really stands out about Playson is the quality of its art and graphics, as well as its smartly designed themes. With 40 titles in its bag so far, we are excited about its next releases. While an online and mobile slot about (not just featuring but about) plush toys may not appeal to everyone, anybody has to marvel as its pastel fuzziness! But with a 100X jackpot, this game is not for kids, although it pleases our child inside. After its first slot in 2003 called Temple of Isis, Eyecon seems to be on track to pump out big hits. 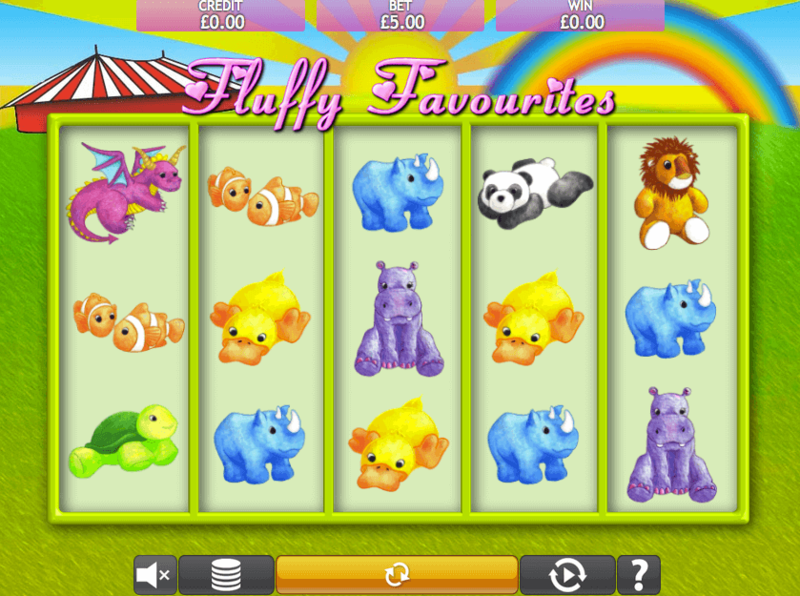 The newest theme is called Fluffy Favourites, which is so popular it has had spin offs. We can’t wait to see what Eyecon releases next. 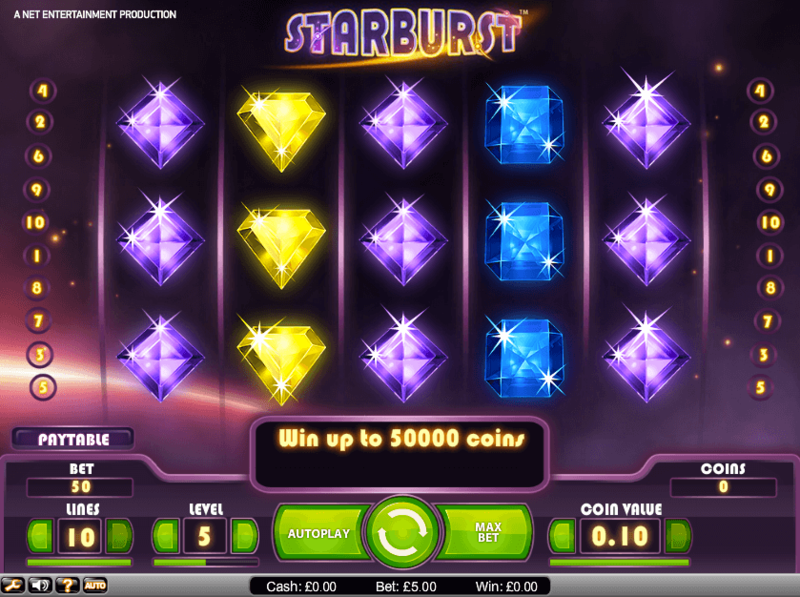 Whereas most slots are driven by themes, stories and characters, Starburst slots goes for pure visual bling in the form of massive sparkling precious gem symbols, which is something anybody can love. The Starburst jeweled star symbol is its main win trigger. We have not seen the rise of a new casino software that has been as explosive and rapid over the past few years as the Swedish brand, NetEnt (short for Internet Entertainment). They deserve praise for a string of mega hits such as Gonzo’s Quest, Starburst and Jack and the Beanstalk, and, a slew of innovative musical slots like Guns N Roses. 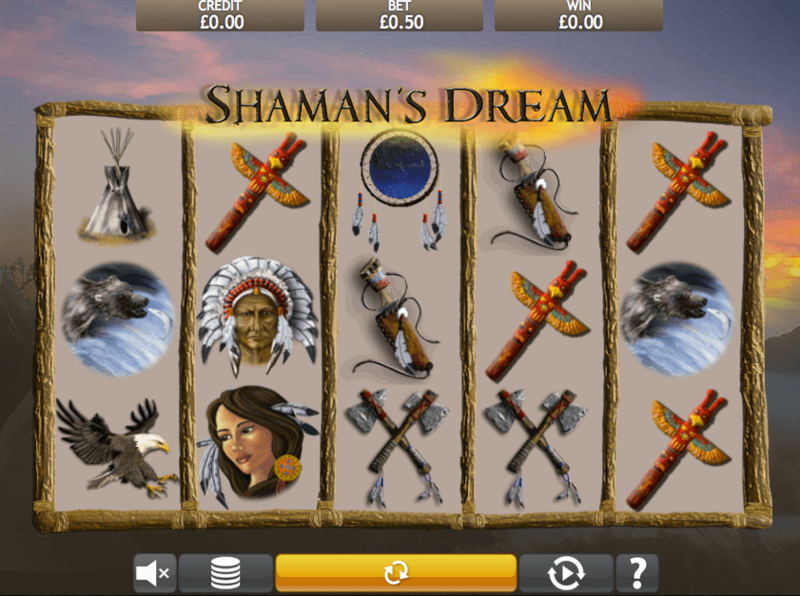 You may not think that a mystical shaman would have any truck with gambling or slots. 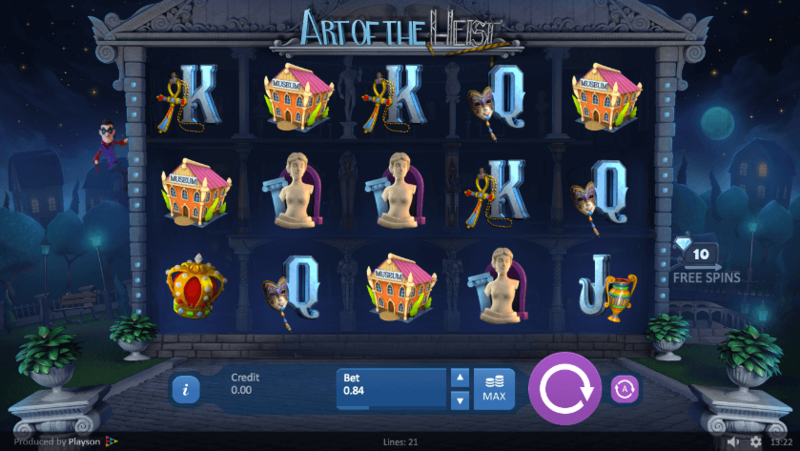 This games proves that the slot-game format has become a blank canvas for just about any niche theme. The game’s 25 paylines, multipliers and RTP of 95.44% make for consistent thrills. 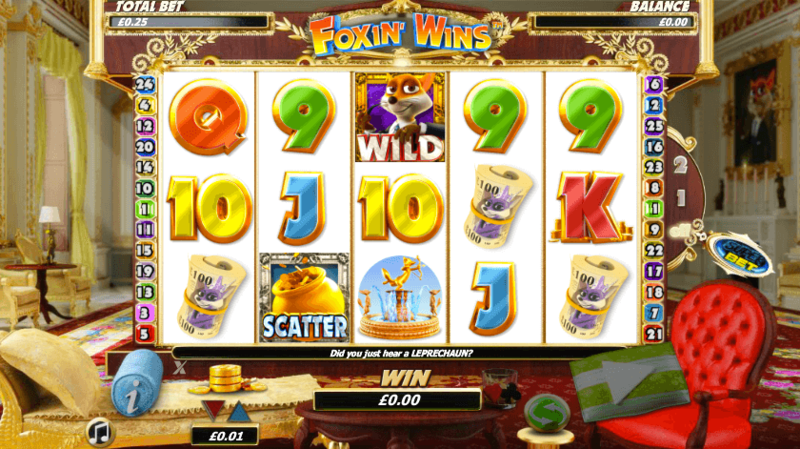 One of the best traits of Foxin’ Wins is its superb artwork, graphics and animations that portray the charming lead character, a wealthy fox. A decent RTP of around 95.6% and side games like Fox Pups mean you should enjoy this game slowly to get all its details. Maybe not one of the most common names, but NextGen has been a mover and shaker for almost 20 years and has contributed to the current standard for multiple-supplier gaming at casinos. Lucky Admiral, as a casino with PayPal services, has its own promotions to offer members. There is an active and changing lineup of specials, including the built in Trophies feature that measures each player’s progress toward higher levels of prizes such as bonuses and free spins. Aside from the traditional introductory deals and top up bonuses, the ‘Admiral has a unique monthly contest called its Weekly Spinathon, which splits up £1,000 amongst the top slots players in the given week. Please Remember: virtually all online casinos offer promotions to large numbers of members, which means there are certain restrictions that partly help us comply with anti-fraud laws also. Wagering requirements and other limits on bonus cash are detailed in our Terms and Conditions. It is easy to get turned around when comparing the benefits and services of online payment methods. So lastly, to help you we made a very simple chart to help select the best option for you. Happy spinning!